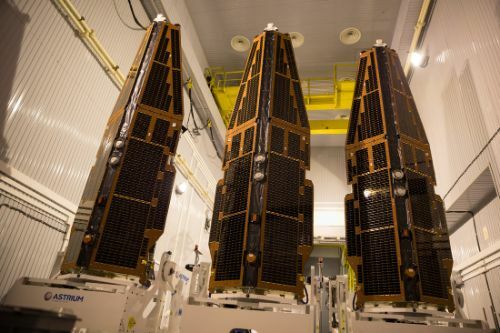 Following their launch and early operations phase in November 2013, Swarm transitioned to a commissioning phase of three months during which the three spacecraft were put through their paces to ensure all satellite systems and the high fidelity science payloads were functioning properly. No problems that could immediately impact the mission were found and the three spacecraft started a precisely planned orbital adjustment campaign in February 2014. 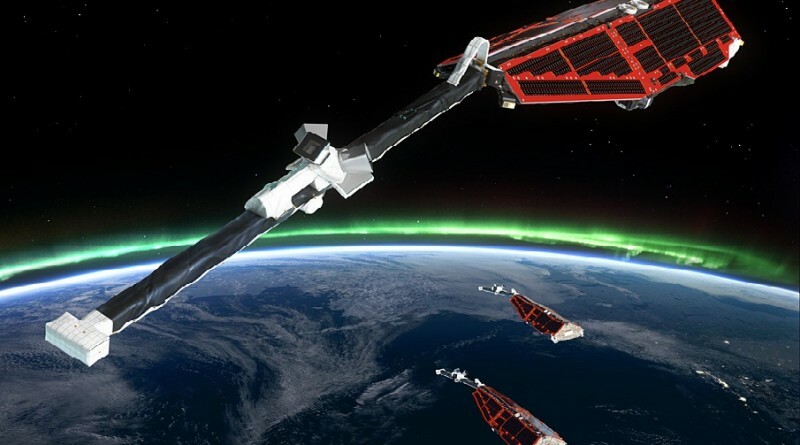 Launched together aboard a Rockot/Briz-KM rocket, all three Swarm satellites entered an identical orbit of 490 by 501 Kilometers at an inclination of 87.55 degrees. A collision right after satellite separation from the launch vehicle was avoided by the payload adapter that separated the satellites into slightly different directions. From that point on, the control of the satellites was in the hands of ground controllers that had a lot of work ahead of them since the Swarm measurement principle requires the three spacecraft to enter precise orbits. The Swarm constellation has been designed to have three satellites flying in slightly different, but precisely maintained orbits. Satellites A and C are in a similar orbital plane at an inclination of 87.35 degrees. The satellite pair operates at an orbital mean altitude of 462 Kilometers. The two satellites have an east-west separation of 1 to 1.4 degrees (=difference in Right Ascension of Ascending Node). Additionally, the two satellites are required to orbit in close formation with a desirable differential delay of 10 seconds, but no closer than two seconds on-track to avoid collisions. Satellite B completed an orbit-raising campaign at the start of the mission to achieve an orbit of 510 Kilometers at an inclination of 87.75 degrees which differs from the A/C inclination. The change in inclination is completed as part of the orbit-raising campaign by firing the thrusters slightly out of plane to achieve a plane change. With Satellite C at a higher altitude and in a different inclination, its Right Ascension of Ascending Node drifts relative to the other satellites. After three years, the Swarm B satellite crosses the plane of the A&C spacecraft at an angle of 90 degrees and four years into the mission, the separation between the segments is about 9 hours local time. 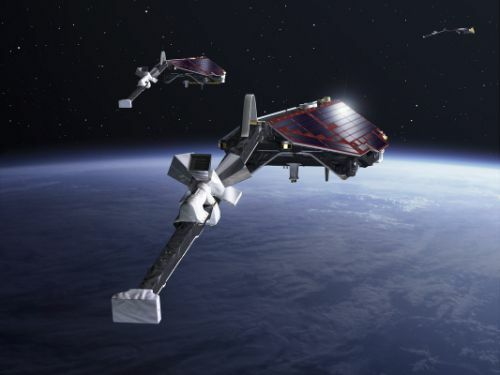 Starting in February 2014, the three satellites parted ways as Swarm A and C began dropping to their operational orbits and started out of plane maneuvers to reduce their orbital inclination. Swarm B did the exact opposite – beginning an orbit-raising campaign while increasing its inclination. By April 2014, the three satellites reached their operational orbits – Swarm A and C are in a 459 by 462-Kilometer orbit inclined 87.36 degrees, and Swarm B is in a 507 by 512-Kilometer orbit at an inclination of 87.76 degrees. 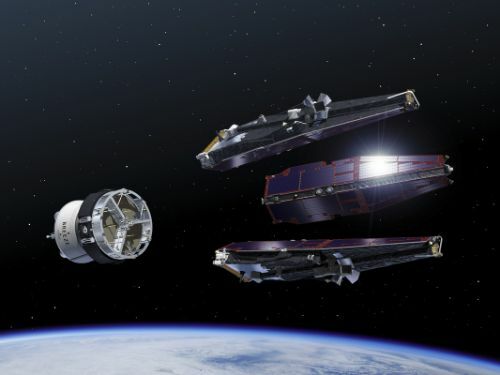 Originally, the Swarm A and B satellites were supposed to be building the low-orbiting tandem, but when the backup magnetometer failed on spacecraft C, teams decided to mitigate the risk of running into problems with the C vehicle by placing it in the lower orbit. Although the primary magnetometers of all three satellites are working fine, the failure of the backup unit on Swarm C leaves the vehicle in a non-redundant configuration. To avoid a loss of science data in the event the primary system fails, teams re-assigned the roles of the spacecraft – making sure the single spacecraft in the higher orbit had a redundant magnetometer. 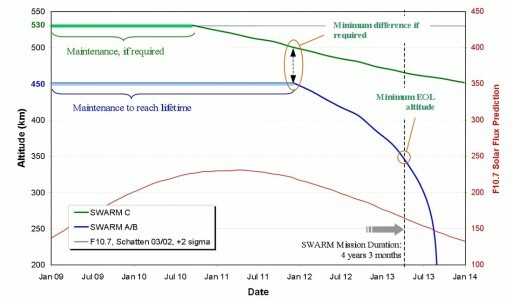 With orbital adjustments complete for all three satellites, Swarm could begin science operations. From a propellant standpoint, the mission is doing extremely well and teams are hopeful to extend the mission as Swarm had an on-target insertion by its launcher and the orbit adjustment went as planned, leaving the vehicle with more fuel than expected. In April, Swarm started the acquisition of calibrated science data. The mission team has already released a global magnetic field map using some of the measurements acquired during the Swarm commissioning phase. The model is in excellent agreement with the previous map acquired by the Champ mission that observed the magnetic field for a decade. Data from Swarm is expected to significantly improve the quality of the existing model. 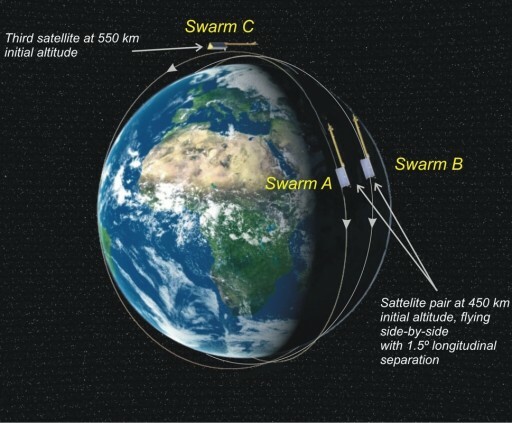 Each Swarm satellite carries a Vector Field Magnetometer that accurately measures the magnetic field vector, the Absolute Scalar Magnetometer that measures the overall strength of the magnetic field, the Electric Field Instrument that characterizes the electric field around the Earth by measuring the plasma density, drift, and acceleration at high resolution, and a Micro Accelerometer that measures non-gravitational perturbing accelerations with temporal and spatial variability leading to air density, wind, drag and solar pressure measurements. During the initial phase of the science mission, teams will continue fine-tuning the sensors of the satellites to eliminate noise that is currently seen in the data delivered by the sensors. 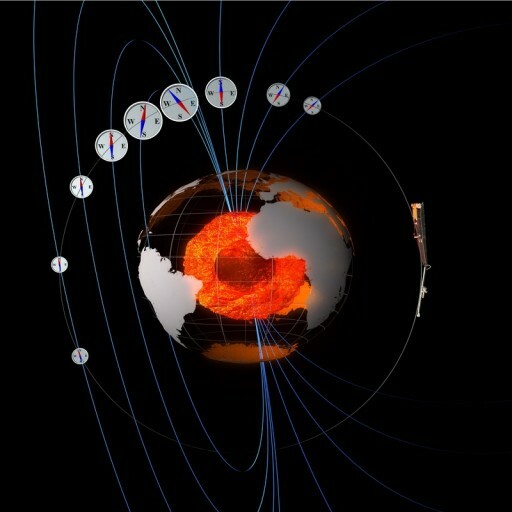 The primary objective of the Swarm mission is to provide the best survey of the geomagnetic field with multi-point measurements enabling the examination of the magnetic field’s temporal evolution to gain new insights into the Earth system, improving the understanding of the planet’s interior and climate. Swarm will study planetary core dynamics, geodynamic processes and core-mantle interactions – seeking to improve the models of the core field dynamics by making long-term measurements with high spatial and temporal resolution. Also, Swarm will examine lithospheric magnetization, provide models of the three-dimensional electrical conductivity of the Earth’s mantle, and conduct simultaneous measurements of the currents flowing in the magnetosphere and ionosphere at different altitudes and local times.